After [his confrontation with the Jewish leaders], Jesus crossed over to the far side of the Sea of Galilee, also known as the Sea of Tiberias. A huge crowd kept following him wherever he went, because they saw his miraculous signs as he healed the sick. Folks follow the show, especially if they can get something for free. 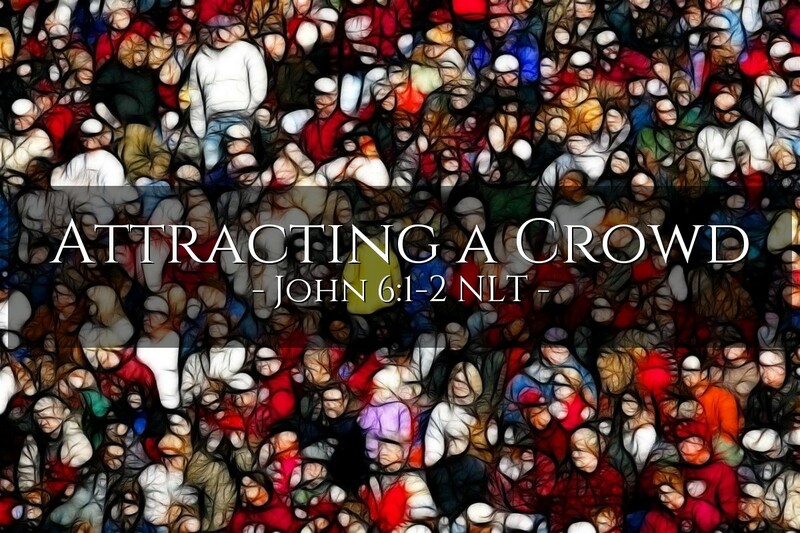 This chapter begins with a huge crowd that was seeking to commandeer Jesus' ministry for their own reasons. It ends with most of them turning away. However, we also get to see what makes up the heart of a true disciple who does not turn away from Jesus just because things grow tough. A point we ought to see here is that when we do acts of kindness, service, and genuine compassion in the name of Jesus, people can't help but be attracted. Yes, some will turn away when hard times or difficult truths confront them, but others will come to Jesus and be saved and blessed. So let's serve and bless and let Jesus take care of the rest! LORD God, Father of mercy and God of all compassion, use me to serve others in the name of Jesus. Give me courage not to compromise his truth, but also give me compassion to serve others as he did. In his name, I pray. Amen.